Tosno have won the 2017-18 Russian Cup with a 2-1 win over second-division side Avangard Kursk in Volgograd to secure the first major silverware of their short history. Tonso, who play their home matches in Saint Petersburg, were only formed in 2013 and this season have played their very first season in the Russian Premier League. Victory also earns Tosno their first season of European football. The club will go directly to the group stage of next season's Europa League -- but that could yet be as a second-tier side. 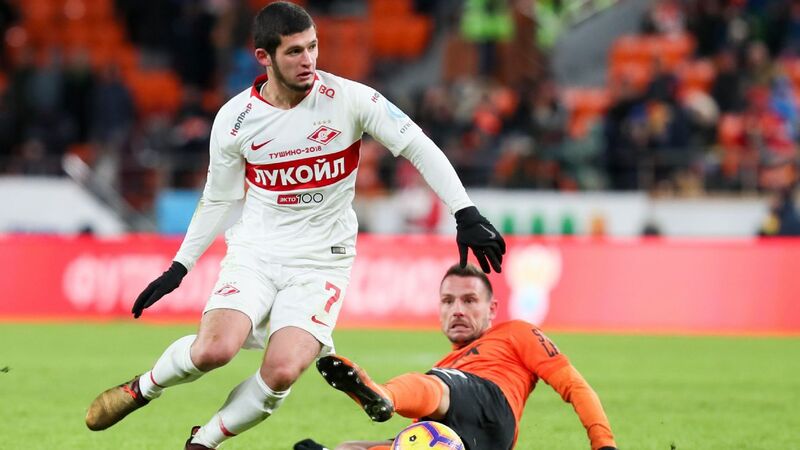 They could face a swift return to the Russian National Football League as they sit in the relegation zone ahead of the final round of games this weekend. Aleksey Skvortsov put Tosno ahead in the 10th minute only for Igor Kireev to equalise. But coach Dmytry Parfenov's side would not be denied as Reziuan Mirzov scored 10 minutes from time to earn Tonso the trophy. Avangard Kursk, midtable in the second division, would also have claimed their first-ever piece of silverware and have never before played in the Russian top flight.